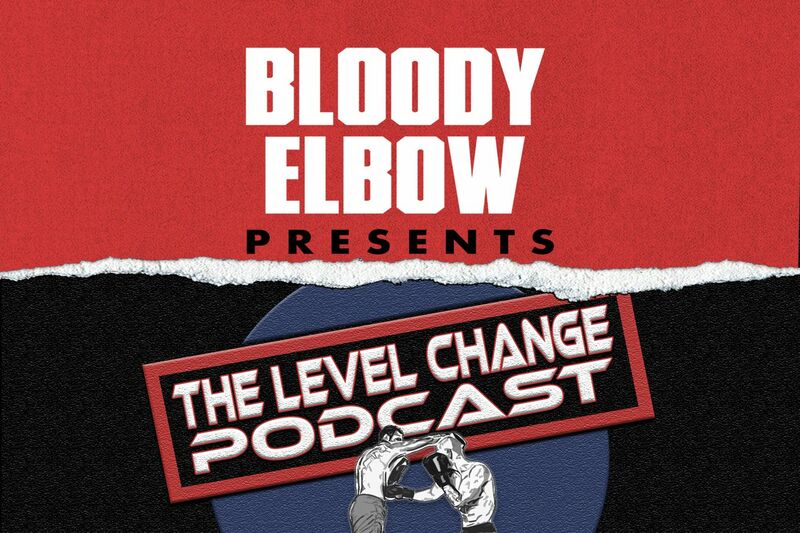 Welcome to the Level Change Podcast, our combat sports themed variety show hosted by Stephie Haynes, Mookie Alexander and Victor Rodriguez, featuring the news of the week, fight card breakdowns and analysis, a roundup of regional promotions’ cards and fights, and whatever else we decide is important enough or entertaining enough to bring to your ears. Here is a summary of the topics discussed, complete with the time stamps for when each interview or special segment begins. As always, we hope you enjoy listening to the show as much as we enjoyed recording it. You can check out the entire show here. Remember, if you’re looking for us on SoundCloud or iTunes, we’re under the Bloody Elbow Presents name. Follow our Twitter accounts: Stephie Haynes, Mookie Alexander, Victor Rodriguez and our show account Level Change Podcast. As always, if you enjoyed our show, give us a “REC” here on Bloody Elbow, or give us a “like,” share & subscribe over on one of our other BE Presents Channels: SoundCloud, YouTube, iTunes & AppleTV , iHeartRadio, Stitcher, Spotify, Google Play, blubrry, OverCast, or Player FM – whichever one happens to be your listening platform of choice. While you’re there, don’t forget to subscribe to Bloody Elbow Presents. That way, you’ll always be the first to get all our daily MMA offerings. For previous episodes of the show, check out our playlists on any of the BE Presents channels. *Intro/Outro podcast music has been provided by OxBow, starring Eugene S Robinson.